What constitutes criminal mischief? A person can be convicted of criminal mischief if he or she willfully and maliciously damages property belonging to somebody else. This includes any acts of graffiti on the property or other acts of vandalism. If the damage to the property is $200 or less, it is a second degree misdemeanor with a maximum jail term of 60 days. If the amount of damage to the property is more than $200 but less than $1,000, it is a misdemeanor of the first degree, punishable by up to a year in jail. When the damage is $1,000 or greater, or if there is an interruption of a business operation, or public communication, or other public service which costs $1,000 or more to restore, the crime is a third degree felony punishable by a maximum 5 year prison term. It is also a felony of the third degree if the accused has one or more previous convictions for criminal mischief. Thus, even a criminal mischief misdemeanor with less than $200 in property damage will be reclassified as a third degree felony if you have one prior criminal mischief conviction. A third degree felony criminal mischief will also be charged when the accused willfully and maliciously causes damage greater than $200 to a synagogue, mosque, church, or other place of worship. In any criminal mischief case the state is required to prove 3 main elements to secure a conviction. The correct dollar amount of the damage. In your case Miami attorney Jeff Dean may attack any, or all, of these elements by showing that your act was not willful, or even if it was willful, you did not cause the damage with the malicious intent required by the statute, and/or that the estimated damage was inflated. It may also be the case that there was a case of mistaken identity and it was not you who caused the property damage in the first place. Criminal mischief cases often involve minors. If you are under the age of 18 or if your child has been arrested, then you may not know where to turn for help. 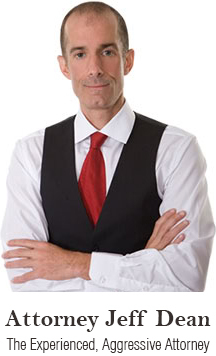 Jeff Dean has helped many families that are faced with a criminal charge. Getting the help you need from a highly experienced defense attorney can ensure the best outcome possible. Don’t risk your education, your record, your financial situation and your future by trying to go through this on your own. Call defense attorney Jeff Dean at (305) 967-6311 or (953) 204-3633.